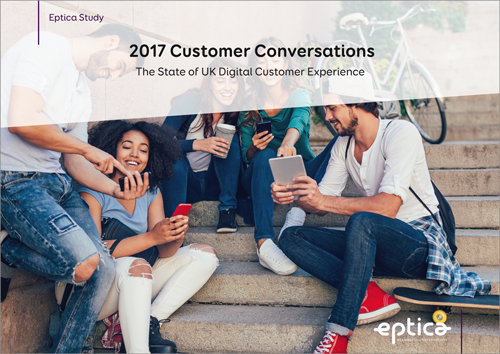 Customer Conversations - The State of UK Digital Customer Experience | Eptica - Multi Channel Customer Interaction Software. Email Management. Web Self-service. Live Chat and Agent Knowledgebase. UK customer experience worsening as social media performance slumps? We invite you to download your copy of the report which incudes the full study results, graphics and best practice recommendations for brands to transform customer experience.